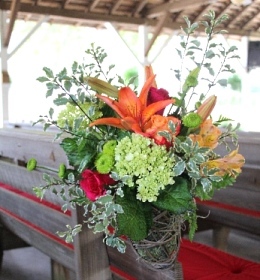 At Mountain Oak Florist & Gifts, we customize designs with you in mind! Greg Hendrix is the co-owner and lead designer of Mountain Oak. 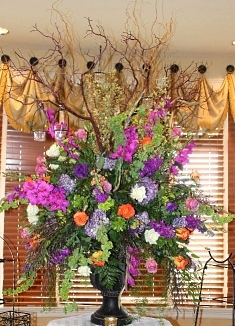 With every floral arrangement he creates, Greg gives you something extraordinary. 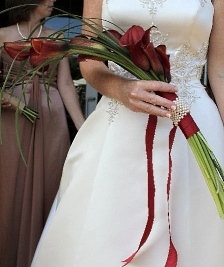 With our stunning flowers and design expertise we will assist you in creating a truly unforgettable celebration. 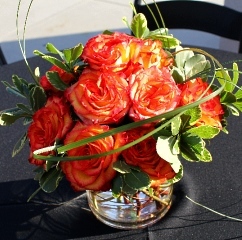 At Mountain Oak Florist & Design, we are dedicated to providing personalized service, quality and care; therefore giving each client individual attention. This ensures incomparable results that exceed expectations. 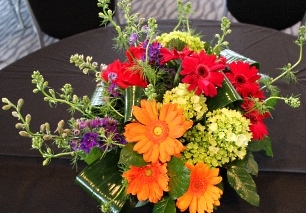 With our innovative design skills incorporating nature and artistry, each arrangement is an exclusive creation. 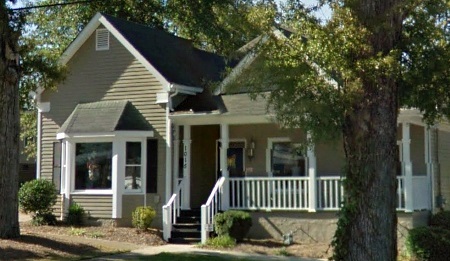 We're a local Carrollton, Georgia florist delivering courteous, professional service and the highest quality floral and gift items around. Call or stop by our shop in Carrollton. Choose from our nice selection of Green Plants, Blooming Plants, Dish Gardens, Fruit Baskets, Gourmet Baskets and Gift Baskets. We also offer Baby Gifts, Candy, Greeting Cards, Home Decor, Scented Candles, Silk Flowers, Stuffed Animals, Pottery and more! Our beautiful selection of high-quality flowers and eye-catching design styles are sure to bring rave reviews on your wedding day or at any festive occasion. Once you have chosen a date and you're ready to start planning, we will hold a private consultation with you at either our establishment or at the event site. We will incorporate your unique taste to create the perfect balance of floral artistry, and personal distinction. We also have Wedding Rentals! Call Mountain Oak Florist & Gifts in advance to schedule your consultation. Call or visit us today… we look forward to meeting you! Thank you for visiting our website for flowers delivered fresh from a local Carrollton, GA florist and easy online ordering available 24 hours a day.